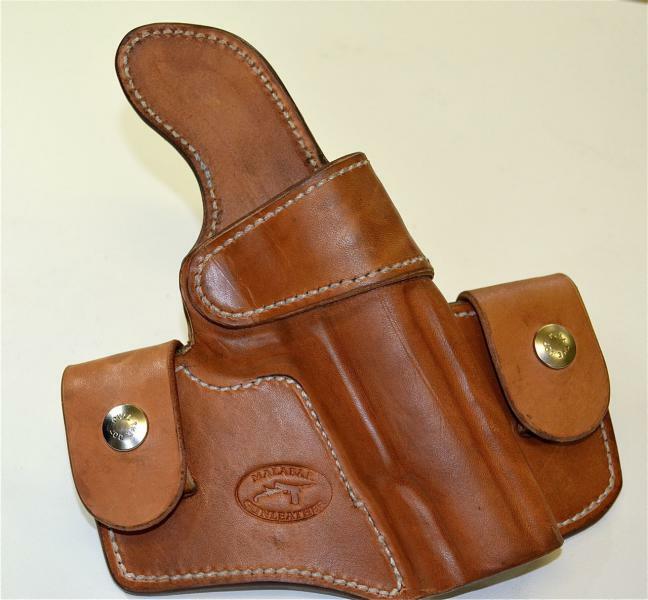 This is a crossdraw version of our our best-selling holster. Why a crossdraw? 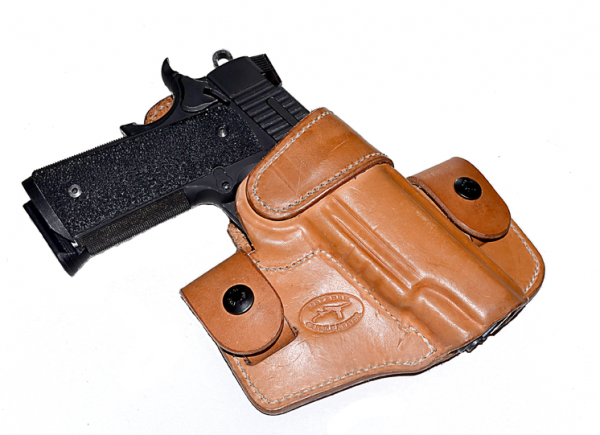 Crossdraw holsters are speciality items. They provide easy access when you are behind the wheel of your car. 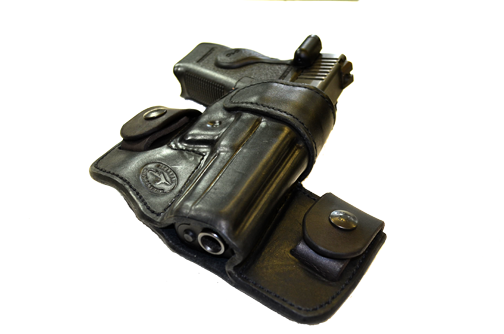 And for folks who have mobility issues (for example, rotator-cuff damage) they can be the only type of holster that allows a proper draw. But be aware that is almost impossible to draw from a cross draw without sweeping everyone on your support-side front quarter.